WELLINGTON – Foreign property speculators selling residential property in New Zealand may soon face a withholding tax to ensure that all liabilities are paid on the profits made. On August 31st the Inland Revenue Department of New Zealand issued a statement confirming that public consultation has begun on the proposal to implement a withholding tax on the sale of any residential property held by a non-resident. Under the details of the proposal, when a seller who is classified as an “offshore person” sells residential property in New Zealand, a portion of the gains shall be retained by the lawyer facilitating the sale, to be subsequently paid out to the Inland Revenue Department. 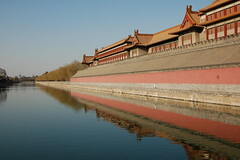 BEIJING – China is easing its tax rules on dividends payments to foreign companies, which could potentially lead to a significant influx of foreign investment and economic activity in the country. Over the weekend tax authorities in China issued an official statement to clarifying the current rules regarding withholding taxes on dividend payments made by local companies to business entities registered outside of China. Starting from June 29th 2012 companies in China paying dividends to a publically listed company in a country which has a double tax agreement with China will only pay a 5 percent withholding tax, compared to the normal rate of 10 percent. BERN – Last year EU citizens with Swiss bank accounts paid more than half a billion franc in withholding taxes, and approximately CHF 379.5 billion of the collections were passed on to tax authorities in other EU countries. 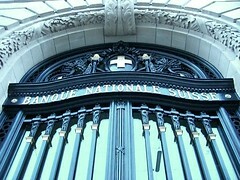 On May 25th the Federal Tax Authority of Switzerland revealed that over the course of 2011 collections of withholding taxes on interest payments to Swiss bank accounts belonging to EU citizens rose by 17 percent compared to last the previous year, reaching approximately CHF 506 million.